We don’t want this show limping to an ending, We want to send it out with style and class and the way it wants to be wrapped up… I don’t believe any of the practical elements of the production have been delayed. We hope to announce it soon. Well, Walden certainly knows how to deliver bad news and veil it as good news. We already knew things for Bones were pretty bad when the long-running series failed to deliver competitive ratings on Thursday nights this fall. Eventually, when Fox announced its midseason schedule, Bones wasn’t even on it, which is why it is actually a great relief to hear the network does want to end the show on a high note for the fans who have stuck with the series for the last 11 seasons. In addition to the ratings issues, David Boreanaz and Emily Deschanel’s contracts are up at the end of the season and Walden says Fox plans to see whether or not they can re-up with the two stars before a decision is made about the show ending at the end of Season 11 (so this season) or the end of Season 12. We wouldn’t do the show without David and Emily. So this is a conversation that would be continuing the series and announcing it as a final season in the 12th season or wrapping it in the 11th. Despite the transparency from the network, if you are currently an avid fan of Bones, it’s bad news that Fox is planning to end the series. However, that end has been slowly drawn out for a while, as series lead David Boreanaz stated a few months ago that the show would likely be ending after the current season. Complicating matters further have been the lawsuits some of the Bones cast and producing staff have filed against Fox and the channel’s TV company. Those lawsuits allege that funds have been mishandled so that those involved with the lawsuit were screwed out of profits. Dana Walden also stated at TCA, as noted by EW, that the legal issues surrounding the show aren’t affecting the ultimate decision made regarding the possibility for the series to continue. I’m inclined to believe the CEO, as Bones has been going downhill in terms of viewership but also quality over the last several years. Bones has been slowly and steadily inching toward cancellation, but it’s nice that the show will avoid the quick and unfeeling cancellation that so many shows get early or early-ish in their runs. 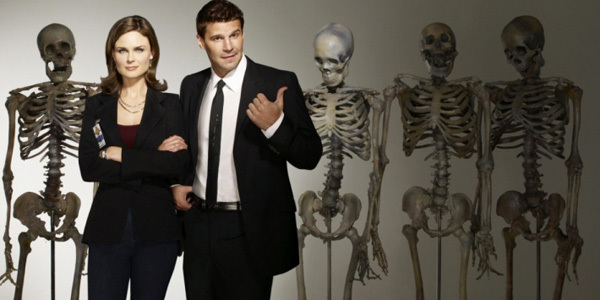 We’ll let you know as soon as Bones gets a return date--and an end date, for that matter. For now, you can see when your midseason favorites will be returning with our winter TV premiere schedule.